Paracetamol was first made in 1877. It is the most commonly used medication for pain and fever in both the United States and Europe. It is on the World Health Organization’s List of Essential Medicines, which lists the most effective and safe medicines needed in a health system. Paracetamol is available as a generic medication with trade names including Tylenol and Panadol, among others. The wholesale price in the developing world is less than US$ 0.01 per dose. In the United States, it costs about US$0.04 per dose. In 2016, it was the 17th most prescribed medication in the United States, with more than 29 million prescriptions. Acute overdoses of paracetamol can cause potentially fatal liver damage. 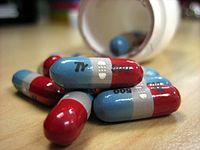 In 2011, the U.S. Food and Drug Administration launched a public-education program to help consumers avoid overdose, warning: “Acetaminophen can cause serious liver damage if more than directed is used.” In a 2011 Safety Warning, the FDA immediately required manufacturers to update labels of all prescription combination acetaminophen products to warn of the potential risk for severe liver injury and required that such combinations contain no more than 325 mg of acetaminophen. Overdoses are frequently related to high-dose recreational use of prescription opioids, as these opioids are most often combined with acetaminophen. The overdose risk may be heightened by frequent consumption of alcohol. In contrast to aspirin, paracetamol does not prevent blood from clotting (it is not an antiplatelet), thus may be used in people who have concerns with blood coagulation. Additionally it does not cause gastric irritation. However, paracetamol does not help reduce inflammation, while aspirin does. Compared with ibuprofen—whose side effects may include diarrhea, vomiting and abdominal pain—paracetamol has fewer adverse gastrointestinal effects. Unlike aspirin, paracetamol is generally considered safe for children, as it is not associated with a risk of Reye’s syndrome in children with viral illnesses. If taken recreationally with opioids, weak evidence suggests that it may cause hearing loss. In January 2011, the FDA asked manufacturers of prescription combination products containing paracetamol to limit its amount to no more than 325 mg per tablet or capsule and began requiring manufacturers to update the labels of all prescription combination paracetamol products to warn of the potential risk of severe liver damage. Manufacturers had three years to limit the amount of paracetamol in their prescription drug products to 325 mg per dosage unit. Paracetamol is part of the class of drugs known as “aniline analgesics”; it is the only such drug still in use today. It is not considered an NSAID because it does not exhibit significant anti-inflammatory activity (it is a weak COX inhibitor). This is despite the evidence that paracetamol and NSAIDs have some similar pharmacological activity. The original method for production involves the nitration of phenol with sodium nitrate gives a mixture of two isomers, from which the wanted 4-nitrophenol (bp 279 °C) can easily be separated by steam distillation. In this electrophilic aromatic substitution reaction, phenol’s oxygen is strongly activating, thus the reaction requires only mild conditions as compared to nitration of benzene itself. The nitro group is then reduced to an amine, giving 4-aminophenol. Finally, the amine is acetylated with acetic anhydride. Industrially direct hydrogenation is used, but in the laboratory scale sodium borohydride serves. Acetanilide was the first aniline derivative serendipitously found to possess analgesic as well as antipyretic properties, and was quickly introduced into medical practice under the name of Antifebrin by Cahn & Hepp in 1886. But its unacceptable toxic effects – the most alarming being cyanosis due to methemoglobinemia – prompted the search for less toxic aniline derivatives. Harmon Northrop Morse had already synthesized paracetamol at Johns Hopkins University via the reduction of p-nitrophenol with tin in glacial acetic acid in 1877, but it was not until 1887 that clinical pharmacologist Joseph von Mering tried paracetamol on humans. In 1893, von Mering published a paper reporting on the clinical results of paracetamol with phenacetin, another aniline derivative. Von Mering claimed that, unlike phenacetin, paracetamol had a slight tendency to produce methemoglobinemia. Paracetamol was then quickly discarded in favor of phenacetin. The sales of phenacetin established Bayer as a leading pharmaceutical company. Overshadowed in part by aspirin, introduced into medicine by Heinrich Dreser in 1899, phenacetin was popular for many decades, particularly in widely advertised over-the-counter “headache mixtures”, usually containing phenacetin, an aminopyrine derivative of aspirin, caffeine, and sometimes a barbiturate. Von Mering’s claims remained essentially unchallenged for half a century, until two teams of researchers from the United States analyzed the metabolism of acetanilide and paracetamol. 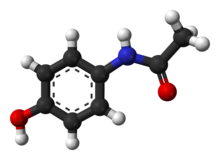 In 1947 David Lester and Leon Greenberg found strong evidence that paracetamol was a major metabolite of acetanilide in human blood, and in a subsequent study they reported that large doses of paracetamol given to albino rats did not cause methemoglobinemia. In three papers published in the September 1948 issue of the Journal of Pharmacology and Experimental Therapeutics, Bernard Brodie, Julius Axelrod and Frederick Flinn confirmed using more specific methods that paracetamol was the major metabolite of acetanilide in human blood, and established that it was just as efficacious an analgesic as its precursor. They also suggested that methemoglobinemia is produced in humans mainly by another metabolite, phenylhydroxylamine. A follow-up paper by Brodie and Axelrod in 1949 established that phenacetin was also metabolised to paracetamol. This led to a “rediscovery” of paracetamol. It has been suggested that contamination of paracetamol with 4-aminophenol, the substance von Mering synthesised it from, may be the cause for his spurious findings. Paracetamol was first marketed in the United States in 1950 under the name Triagesic, a combination of paracetamol, aspirin, and caffeine. Reports in 1951 of three users stricken with the blood disease agranulocytosis led to its removal from the marketplace, and it took several years until it became clear that the disease was unconnected. Paracetamol was marketed in 1953 by Sterling-Winthrop Co. as Panadol, available only by prescription, and promoted as preferable to aspirin since it was safe for children and people with ulcers. In 1955, paracetamol was marketed as Children’s Tylenol Elixir by McNeil Laboratories. 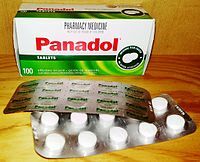 In 1956, 500 mg tablets of paracetamol went on sale in the United Kingdom under the trade name Panadol, produced by Frederick Stearns & Co, a subsidiary of Sterling Drug Inc. In 1963, paracetamol was added to the British Pharmacopoeia, and has gained popularity since then as an analgesic agent with few side-effects and little interaction with other pharmaceutical agents. Concerns about paracetamol’s safety delayed its widespread acceptance until the 1970s, but in the 1980s paracetamol sales exceeded those of aspirin in many countries, including the United Kingdom. This was accompanied by the commercial demise of phenacetin, blamed as the cause of analgesic nephropathy and hematological toxicity. In 1988 Sterling Winthrop was acquired by Eastman Kodak which sold the over the counter drug rights to SmithKline Beecham in 1994. Both acetaminophen and paracetamol come from a chemical name for the compound: para–acetylaminophenol and para–acetylaminophenol. ^ a b c d e f g h i “Acetaminophen”. The American Society of Health-System Pharmacists. Archived from the original on 5 June 2016. Retrieved 16 September 2016. ^ a b “International Listings for Paracetamol”. Archived from the original on 6 January 2016. Retrieved 11 January 2016. ^ a b c d e “Codapane Forte Paracetamol and codeine phosphate PRODUCT INFORMATION” (PDF). TGA eBusiness Services. Alphapharm Pty Limited. 29 April 2013. Retrieved 10 May 2014. ^ Working Group of the Australian and New Zealand College of Anaesthetists and Faculty of Pain Medicine (2010). Macintyre, PE; Schug, SA; Scott, DA; Visser, EJ; Walker, SM, eds. Acute Pain Management: Scientific Evidence (PDF) (3rd ed.). Melbourne, Australia: National Health and Medical Research Council. ISBN 9780977517459. Archived from the original (PDF) on 2012-10-21. ^ “Tylenol, Tylenol Infants’ Drops (acetaminophen) dosing, indications, interactions, adverse effects, and more”. Medscape Reference. WebMD. Archived from the original on 14 April 2014. Retrieved 10 May 2014. ^ “Acetaminophen Pathway (therapeutic doses), Pharmacokinetics”. Archived from the original on 4 March 2016. Retrieved 13 January 2016. ^ a b c Pickering G, Macian N, Libert F, Cardot JM, Coissard S, Perovitch P, Maury M, Dubray C (September 2014). “Buccal acetaminophen provides fast analgesia: two randomized clinical trials in healthy volunteers”. Drug Des. Devel. Ther. 8: 1621–1627. doi:10.2147/DDDT.S63476. PMC 4189711. PMID 25302017. bAPAP has a faster time of antinociception onset (15 minutes, P<0.01) and greater antinociception at 50 minutes (P<0.01, CT1) and 30 minutes (P<0.01, CT2) than ivAPAP and sAPAP. All routes are similar after 50 minutes. … In postoperative conditions for acute pain of mild to moderate intensity, the quickest reported time to onset of analgesia with APAP is 8 minutes9 for the iv route and 37 minutes6 for the oral route. ^ a b c d e Granberg RA, Rasmuson AC (1999). “Solubility of paracetamol in pure solvents”. Journal of Chemical & Engineering Data. 44 (6): 1391–95. doi:10.1021/je990124v. ^ Karthikeyan, M.; Glen, R. C.; Bender, A. (2005). “General Melting Point Prediction Based on a Diverse Compound Data Set and Artificial Neural Networks”. Journal of Chemical Information and Modeling. 45 (3): 581–590. doi:10.1021/ci0500132. PMID 15921448. ^ “melting point data for paracetamol”. Lxsrv7.oru.edu. Archived from the original on 30 June 2012. Retrieved 19 March 2011. ^ Meremikwu, M; Oyo-Ita, A (2002). “Paracetamol for treating fever in children”. The Cochrane Database of Systematic Reviews (2): CD003676. doi:10.1002/14651858.CD003676. PMID 12076499. ^ De Martino, Maurizio; Chiarugi, Alberto (2015). “Recent Advances in Pediatric Use of Oral Paracetamol in Fever and Pain Management”. Pain and Therapy. 4 (2): 149–168. doi:10.1007/s40122-015-0040-z. PMC 4676765. PMID 26518691. ^ Scottish Intercollegiate Guidelines Network (SIGN) (2008). “6.1 and 7.1.1” (PDF). Guideline 106: Control of pain in adults with cancer. Scotland: National Health Service (NHS). ISBN 9781905813384. Archived (PDF) from the original on 2010-12-20. ^ Russell, FM; Shann, F; Curtis, N; Mulholland, K (2003). “Evidence on the use of paracetamol in febrile children”. Bulletin of the World Health Organization. 81 (5): 367–72. PMC 2572451. PMID 12856055. ^ a b “Paracetamol for adults: painkiller to treat aches, pains and fever – NHS.UK”. NHS.UK. Archived from the original on August 22, 2017. Retrieved August 22, 2017. ^ a b “What are the recommended maximum daily dosages of acetaminophen in adults and children?”. www.medscape.com. Retrieved 19 December 2018. ^ Lewis, JH; Stine, JG (June 2013). “Review article: prescribing medications in patients with cirrhosis – a practical guide”. Alimentary Pharmacology & Therapeutics. 37 (12): 1132–56. doi:10.1111/apt.12324. PMID 23638982. ^ a b McKay, Gerard A.; Walters, Matthew R. (2013). “Non-Opioid Analgesics”. Lecture Notes Clinical Pharmacology and Therapeutics (9th ed.). Hoboken: Wiley. ISBN 9781118344897. ^ a b “Paracetamol”. Retrieved 11 January 2016. ^ a b “Acetaminophen prices, coupons and patient assistance programs”. Archived from the original on 16 February 2016. Retrieved 19 February 2016. ^ “The Top 300 of 2019”. clincalc.com. Retrieved 26 February 2019. ^ “Acetaminophen”. The American Society of Health-System Pharmacists. Archived from the original on 3 March 2011. Retrieved 3 April 2011. ^ “Baby paracetamol asthma concern”. BBC News. September 19, 2008. Archived from the original on September 20, 2008. Retrieved September 19, 2008. ^ Perrott DA, Piira T, Goodenough B, Champion GD (2004). “Efficacy and safety of acetaminophen vs ibuprofen for treating children’s pain or fever: a meta-analysis”. Arch Pediatr Adolesc Med. 158 (6): 521–6. doi:10.1001/archpedi.158.6.521. PMID 15184213. ^ Sin, B; Wai, M; Tatunchak, T; Motov, SM (29 January 2016). “The use of intravenous acetaminophen for acute pain in the emergency department”. Academic Emergency Medicine. 23 (5): 543–53. doi:10.1111/acem.12921. PMID 26824905. ^ Hochberg MC, Altman RD, April KT, et al. (April 2012). “American College of Rheumatology 2012 recommendations for the use of nonpharmacologic and pharmacologic therapies in osteoarthritis of the hand, hip, and knee”. Arthritis Care Res (Hoboken). 64 (4): 465–74. doi:10.1002/acr.21596. PMID 22563589. ^ a b c Machado, GC; Maher, CG; Ferreira, PH; Pinheiro, MB; Lin, CW; Day, RO; McLachlan, AJ; Ferreira, ML (31 March 2015). “Efficacy and safety of paracetamol for spinal pain and osteoarthritis: systematic review and meta-analysis of randomised placebo controlled trials”. BMJ (Clinical Research Ed.). 350: h1225. doi:10.1136/bmj.h1225. PMC 4381278. PMID 25828856. ^ “Paracetamol”. Arthritis Research UK. Archived from the original on October 17, 2013. Retrieved October 16, 2013. ^ “National Guideline Clearinghouse | Expert Commentaries: Diagnosis and Treatment of Low Back Pain: A Joint Clinical Practice Guideline from the American College of Physicians and the American Pain Society. What’s New? What’s Different?“. Archived from the original on 2014-09-14. Retrieved 2014-09-14. ^ Davies RA, Maher CG, Hancock MJ (November 2008). “A systematic review of paracetamol for non-specific low back pain”. Eur Spine J. 17 (11): 1423–30. doi:10.1007/s00586-008-0783-x. PMC 2583194. PMID 18797937. ^ Saragiotto, BT; Machado, GC; Ferreira, ML; Pinheiro, MB; Abdel Shaheed, C; Maher, CG (June 2016). “Paracetamol for low back pain”. Cochrane Database of Systematic Reviews (Systematic Review & Meta-Analysis). 6 (6): CD012230. doi:10.1002/14651858.CD012230. PMID 27271789. ^ Machado GC, Maher CG, Ferreira PH, Pinheiro MB, Lin CW, Day RO, McLachlan AJ, Ferreira ML (March 2015). “Efficacy and safety of paracetamol for spinal pain and osteoarthritis: systematic review and meta-analysis of randomised placebo controlled trials”. BMJ. 350: h1225. doi:10.1136/bmj.h1225. PMC 4381278. PMID 25828856. ^ Haag G, Diener HC, May A, et al. (April 2011). “Self-medication of migraine and tension-type headache: summary of the evidence-based recommendations of the Deutsche Migräne und Kopfschmerzgesellschaft (DMKG), the Deutsche Gesellschaft für Neurologie (DGN), the Österreichische Kopfschmerzgesellschaft (ÖKSG) and the Schweizerische Kopfwehgesellschaft (SKG)”. J Headache Pain. 12 (2): 201–17. doi:10.1007/s10194-010-0266-4. PMC 3075399. PMID 21181425. ^ Derry S, Moore RA (2013). “Paracetamol (acetaminophen) with or without an antiemetic for acute migraine headaches in adults”. Cochrane Database Syst Rev. 4 (4): CD008040. doi:10.1002/14651858.CD008040.pub3. PMC 4161111. PMID 23633349. ^ Ong, CK; Seymour, RA; Lirk, P; Merry, AF (1 April 2010). “Combining paracetamol (acetaminophen) with nonsteroidal antiinflammatory drugs: a qualitative systematic review of analgesic efficacy for acute postoperative pain”. Anesthesia and Analgesia. 110 (4): 1170–9. doi:10.1213/ANE.0b013e3181cf9281. PMID 20142348. ^ Moore, RA; Derry, C (January 2013). “Efficacy of OTC analgesics”. International Journal of Clinical Practice. Supplement. 67 (178): 21–5. doi:10.1111/ijcp.12054. PMID 23163544. ^ “Relieving dental pain”. American Dental Association. December 2016. Archived from the original on 2016-11-17. ^ Bailey, E; Worthington, H; Coulthard, P (April 2014). “Ibuprofen and/or paracetamol (acetaminophen) for pain relief after surgical removal of lower wisdom teeth, a Cochrane systematic review”. British Dental Journal. 216 (8): 451–5. doi:10.1038/sj.bdj.2014.330. PMID 24762895. ^ Ashley, PF; Parekh, S; Moles, DR; Anand, P; MacDonald, LC (8 August 2016). “Preoperative analgesics for additional pain relief in children and adolescents having dental treatment”. The Cochrane Database of Systematic Reviews (8): CD008392. doi:10.1002/14651858.CD008392.pub3. PMID 27501304. ^ Laurence Toms; Sheena Derry; R Andrew Moore; Henry J McQuay (2009). “Single dose oral paracetamol (acetaminophen) with codeine for postoperative pain in adults”. Cochrane Database of Systematic Reviews (1): CD001547. doi:10.1002/14651858.CD001547.pub2. PMC 4171965. PMID 19160199. ^ a b Murnion B (2010). “Combination analgesics in adults”. Australian Prescriber. 33 (33): 113–5. doi:10.18773/austprescr.2010.056. Archived from the original on 2010-09-02. ^ Derry CJ, Derry S, Moore RA (2012). “Caffeine as an analgesic adjuvant for acute pain in adults”. Cochrane Database Syst Rev. 3 (3): CD009281. doi:10.1002/14651858.CD009281.pub2. PMID 22419343. ^ a b c Sivanandan S, Agarwal R (2016). “Pharmacological Closure of Patent Ductus Arteriosus: Selecting the Agent and Route of Administration”. Paediatric Drugs. 18 (2): 123–38. doi:10.1007/s40272-016-0165-5. PMID 26951240. ^ Sallmon H, Koehne P, Hansmann G (2016). “Recent Advances in the Treatment of Preterm Newborn Infants with Patent Ductus Arteriosus”. Clinics in Perinatology. 43 (1): 113–29. doi:10.1016/j.clp.2015.11.008. PMID 26876125. ^ Research, Center for Drug Evaluation and. “Drug Safety and Availability – FDA Drug Safety Communication: Prescription Acetaminophen Products to be Limited to 325 mg Per Dosage Unit; Boxed Warning Will Highlight Potential for Severe Liver Failure”. U.S. Food and Drug Administration. Archived from the original on March 1, 2016. Retrieved February 27, 2016. ^ “FDA: Acetaminophen doses over 325 mg may lead to liver damage”. CNN. January 16, 2014. Archived from the original on February 16, 2014. Retrieved 2014-02-18. ^ a b Daly FF, Fountain JS, Murray L, Graudins A, Buckley NA (2008). “Guidelines for the management of paracetamol poisoning in Australia and New Zealand—explanation and elaboration. A consensus statement from clinical toxicologists consulting to the Australasian poisons information centres”. Med J Aust. 188 (5): 296–301. PMID 18312195. Archived from the original on 2008-07-23. ^ Khashab M, Tector AJ, Kwo PY (2007). “Epidemiology of acute liver failure”. Curr Gastroenterol Rep. 9 (1): 66–73. doi:10.1007/s11894-008-0023-x. PMID 17335680. ^ Hawkins LC, Edwards JN, Dargan PI (2007). “Impact of restricting paracetamol pack sizes on paracetamol poisoning in the United Kingdom: a review of the literature”. Drug Saf. 30 (6): 465–79. doi:10.2165/00002018-200730060-00002. PMID 17536874. ^ a b Larson AM; Polson J; Fontana RJ; et al. (2005). “Acetaminophen-induced acute liver failure: results of a United States multicenter, prospective study”. Hepatology. 42 (6): 1364–72. doi:10.1002/hep.20948. PMID 16317692. ^ Dukes, MNG; Jeffrey K Aronson (2000). Meyler’s Side Effects of Drugs, Vol XIV. Elsevier. ISBN 9780444500939. ^ García Rodríguez LA, Hernández-Díaz S (December 15, 2000). “The risk of upper gastrointestinal complications associated with nonsteroidal anti-inflammatory drugs, glucocorticoids, acetaminophen, and combinations of these agents”. Arthritis Research & Therapy. 3 (2): 98–101. doi:10.1186/ar146. PMC 128885. PMID 11178116. ^ “Painkillers ’cause kidney damage‘“. BBC News. November 23, 2003. Archived from the original on September 26, 2010. Retrieved March 27, 2010. ^ “FDA Warns of Rare Acetaminophen Risk”. August 1, 2013. Archived from the original on 5 April 2016. Retrieved 12 April 2016. ^ Lourido-Cebreiro, T; Salgado, FJ; Valdes, L; Gonzalez-Barcala, FJ (January 2017). “The association between paracetamol and asthma is still under debate”. The Journal of Asthma (Review). 54 (1): 32–8. doi:10.1080/02770903.2016.1194431. PMID 27575940. ^ Henderson, AJ; Shaheen, SO (Mar 2013). “Acetaminophen and asthma”. Paediatric Respiratory Reviews. 14 (1): 9–15, quiz 16. doi:10.1016/j.prrv.2012.04.004. PMID 23347656. ^ Heintze, K; Petersen, KU (Jun 2013). “The case of drug causation of childhood asthma: antibiotics and paracetamol”. European Journal of Clinical Pharmacology. 69 (6): 1197–209. doi:10.1007/s00228-012-1463-7. PMC 3651816. PMID 23292157. ^ Cheelo, M; Lodge, CJ; Dharmage, SC; Simpson, JA; Matheson, M; Heinrich, J; Lowe, AJ (26 November 2014). “Paracetamol exposure in pregnancy and early childhood and development of childhood asthma: a systematic review and meta-analysis”. Archives of Disease in Childhood. 100 (1): 81–9. doi:10.1136/archdischild-2012-303043. PMID 25429049. ^ “Feverish illness in children: Assessment and initial management in children younger than 5 years”. NICE clinical guidelines. UK National Institute for Health and Care Excellence. May 2013. Archived from the original on 6 March 2014. Retrieved 25 February 2014. ^ “Common over-the-counter medications”. Healthychildren.org. American Academy of Pediatrics. July 10, 2013. Archived from the original on February 27, 2014. Retrieved February 23, 2014. ^ “Link between Calpol and asthma ‘not proven‘“. NHS Choices. UK National Health Service. September 16, 2013. Archived from the original on February 25, 2014. Retrieved February 23, 2014. ^ Section on Clinical Pharmacology and Therapeutics; Committee on Drugs; Sullivan, JE; Farrar, HC (Mar 2011). “Fever and antipyretic use in children”. Pediatrics. 127 (3): 580–7. doi:10.1542/peds.2010-3852. PMID 21357332. Archived from the original on 2015-01-09. ^ Martinez-Gimeno, A; García-Marcos, Luis (Apr 2013). “The association between acetaminophen and asthma: should its pediatric use be banned?”. Expert Review of Respiratory Medicine. 7 (2): 113–22. doi:10.1586/ers.13.8. PMID 23547988. Archived from the original on 2013-05-09. ^ McBride, JT (Dec 2011). “The association of acetaminophen and asthma prevalence and severity”. Pediatrics. 128 (6): 1181–5. doi:10.1542/peds.2011-1106. PMID 22065272. Archived from the original on 2014-07-13. ^ Ebrahimi, Sedigheh; Soheil Ashkani Esfahani; Hamid Reza Ghaffarian; Mahsima Khoshneviszade (2010). “Comparison of efficacy and safety of acetaminophen and ibuprofen administration as single dose to reduce fever in children”. Iranian Journal of Pediatrics. 20 (4): 500–501. Archived from the original on 2012-07-09. ^ Lesko SM, Mitchell AA (1999). “The safety of acetaminophen and ibuprofen among children younger than two years old”. Pediatrics. 104 (4): e39. doi:10.1542/peds.104.4.e39. PMID 10506264. ^ Yorgason, JG; Luxford, W; Kalinec, F (Dec 2011). “In vitro and in vivo models of drug ototoxicity: studying the mechanisms of a clinical problem”. Expert Opinion on Drug Metabolism & Toxicology. 7 (12): 1521–34. doi:10.1517/17425255.2011.614231. PMID 21999330. ^ Rumack B, Matthew H (1975). “Acetaminophen poisoning and toxicity”. Pediatrics. 55 (6): 871–76. PMID 1134886. ^ “Paracetamol”. University of Oxford Centre for Suicide Research. 25 March 2013. Archived from the original on 20 March 2013. Retrieved 20 April 2013. ^ Ryder SD, Beckingham IJ (2001). “ABC of diseases of liver, pancreas, and biliary system. Other causes of parenchymal liver disease”. BMJ. 322 (7281): 290–92. doi:10.1136/bmj.322.7281.290. PMC 1119531. PMID 11157536. ^ Lee WM (2004). “Acetaminophen and the U.S. Acute Liver Failure Study Group: lowering the risks of hepatic failure”. Hepatology. 40 (1): 6–9. doi:10.1002/hep.20293. PMID 15239078. ^ “Highlights of Prescribing Information” (PDF). Acetadote. Archived from the original (PDF) on 2014-02-22. Retrieved 2014-02-10. ^ “Paracetamol overdose: new guidance on treatment with intravenous acetylcysteine”. Drug Safety Update. 6 (2): A1. September 2012. Archived from the original on 2012-10-27. ^ “FDA May Restrict Acetaminophen”. Webmd. 2009-07-01. Archived from the original on 2011-03-21. Retrieved 2011-03-19. ^ “FDA limits acetaminophen in prescription combination products; requires liver toxicity warnings” (Press release). U.S. Food and Drug Administration (FDA). January 13, 2011. Archived from the original on January 15, 2011. Retrieved January 13, 2011. ^ a b “FDA Drug Safety Communication: Prescription Acetaminophen Products to be Limited to 325 mg Per Dosage Unit; Boxed Warning Will Highlight Potential for Severe Liver Failure”. U.S. Food and Drug Administration (FDA). January 13, 2011. Archived from the original on January 18, 2011. Retrieved January 13, 2011. ^ Matthew Perrone (January 13, 2011). “FDA orders lowering pain reliever in Vicodin”. The Boston Globe. Associated Press. Archived from the original on November 2, 2012. Retrieved January 13, 2011. ^ a b Gardiner Harris (January 13, 2011). “F. D. A. Plans New Limits on Prescription Painkillers”. The New York Times. Archived from the original on June 9, 2012. Retrieved January 13, 2011. ^ “Liquid paracetamol for children: Revised UK dosing instructions have been introduced”. Mhra.gov.uk. Archived from the original on 2011-11-15. Retrieved 2014-02-18. ^ Scialli, AR; Ang, R; Breitmeyer, J; Royal, MA (Dec 2010). “A review of the literature on the effects of acetaminophen on pregnancy outcome” (PDF). Reproductive Toxicology (Elmsford, N.Y.). 30 (4): 495–507. doi:10.1016/j.reprotox.2010.07.007. PMID 20659550. Archived from the original (PDF) on 2014-02-27. Retrieved 2014-02-27. ^ Rudolph, AM (Feb 23, 1981). “Effects of aspirin and acetaminophen in pregnancy and in the newborn”. Archives of Internal Medicine. 141 (3): 358–63. doi:10.1001/archinte.141.3.358. PMID 7469626. ^ Eyers, S; Weatherall, M; Jefferies, S; Beasley, R (Apr 2011). “Paracetamol in pregnancy and the risk of wheezing in offspring: a systematic review and meta-analysis” (PDF). Clinical and Experimental Allergy. 41 (4): 482–9. doi:10.1111/j.1365-2222.2010.03691.x. PMID 21338428. Archived from the original (PDF) on 2013-03-14. Retrieved 2014-02-27. ^ Blaser, JA; Allan, GM (July 2014). “Acetaminophen in pregnancy and future risk of ADHD in offspring”. Canadian Family Physician. 60 (7): 642. PMC 4096264. PMID 25022638. ^ de Fays, L; Van Malderen, K; De Smet, K; Sawchik, J; Verlinden, V; Hamdani, J; Dogné, JM; Dan, B (August 2015). “Use of paracetamol during pregnancy and child neurological development”. Developmental Medicine & Child Neurology. 57 (8): 718–24. doi:10.1111/dmcn.12745. PMID 25851072. ^ Choueiri, TK. ; Je, Y.; Cho, E. (2014). “Analgesic use and the risk of kidney cancer: a meta-analysis of epidemiologic studies”. International Journal of Cancer. 134 (2): 384–396. doi:10.1002/ijc.28093. PMC 3815746. PMID 23400756. ^ a b c d Fortuny, J.; Kogevinas, M.; Garcia-Closas, M.; Real, F. X.; Tardòn, A.; Garcia-Closas, R.; Serra, C.; Carrato, A.; Lloreta, J.; Rothman, N.; Villanueva, C.; Dosemeci, M.; Malats, N.; Silverman, D. (2006). “Use of Analgesics and Nonsteroidal Anti-inflammatory Drugs, Genetic Predisposition, and Bladder Cancer Risk in Spain”. Cancer Epidemiology, Biomarkers & Prevention. 15 (9): 1696–1702. doi:10.1158/1055-9965.EPI-06-0038. PMID 16985032. ^ a b c d Ghanem, CI; Pérez, MJ; Manautou, JE; Mottino, AD (July 2016). “Acetaminophen from liver to brain: New insights into drug pharmacological action and toxicity”. Pharmacological Research. 109: 119–31. doi:10.1016/j.phrs.2016.02.020. PMC 4912877. PMID 26921661. ^ Prescott, L.F. (October 1980). “Kinetics and metabolism of paracetamol and phenacetin”. British Journal of Clinical Pharmacology. 10 Suppl 2: 291S–298S. doi:10.1111/j.1365-2125.1980.tb01812.x. PMC 1430174. PMID 7002186. ^ a b Graham, G.G. ; Davies, M.J.; Day, R.O. ; Mohamudally, A.; Scott, K.F. (June 2013). “The modern pharmacology of paracetamol: Therapeutic actions, mechanism of action, metabolism, toxicity, and recent pharmacological findings”. Inflammopharmacology. 21 (3): 201–232. doi:10.1007/s10787-013-0172-x. PMID 23719833. ^ a b John Marx; Ron Walls; Robert Hockberger (2013). Rosen’s Emergency Medicine – Concepts and Clinical Practice. Elsevier Health Sciences. ISBN 9781455749874. ^ a b c Borne, Ronald F. (1995). “Nonsteroidal anti-inflammatory drugs”. In Foye, William O.; Lemke, Thomas L.; Williams, David A. Principles of Medicinal Chemistry (Fourth ed.). Williams & Wilkins. pp. 544–545. ^ a b Brayfield, A., ed. (15 January 2014). “Paracetamol”. Martindale: The Complete Drug Reference. London, UK: Pharmaceutical Press. Retrieved 10 May 2014. ^ Bales, J.R.; Nicholson, J.K.; Sadler, P.J. (1985). “Two-dimensional proton nuclear magnetic resonance “maps” of acetaminophen metabolites in human urine”. Clinical Chemistry. 31 (5): 757–762. PMID 3987005. Archived from the original on 21 November 2008. ^ a b c d e f Bertolini A, Ferrari A, Ottani A, Guerzoni S, Tacchi R, Leone S (2006). “Paracetamol: New vistas of an old drug”. CNS Drug Reviews. 12 (3–4): 250–75. doi:10.1111/j.1527-3458.2006.00250.x. PMID 17227290. ^ Viswanathan, A. N.; Feskanich, D.; Schernhammer, E. S.; Hankinson, S. E. (2008). “Aspirin, NSAID, and Acetaminophen Use and the Risk of Endometrial Cancer”. Cancer Research. 68 (7): 2507–2513. doi:10.1158/0008-5472.CAN-07-6257. PMC 2857531. PMID 18381460. ^ Altinoz, M. A.; Korkmaz, R. (2004). “NF-kappaB, macrophage migration inhibitory factor and cyclooxygenase-inhibitions as likely mechanisms behind the acetaminophen- and NSAID-prevention of the ovarian cancer”. Neoplasma. 51 (4): 239–247. PMID 15254653. ^ Travis, Anthony S. (2007). “Manufacture and uses of the anilines: A vast array of processes and products”. In Zvi Rappoport. The chemistry of Anilines Part 1. Wiley. p. 764. ISBN 978-0-470-87171-3. ^ Joncour, Roxan; Duguet, Nicolas; Métay, Estelle; Ferreira, Amadéo; Lemaire, Marc (2014). “Amidation of phenol derivatives: a direct synthesis of paracetamol (acetaminophen) from Hydroquinone”. Green Chem. 16 (6): 2997–3002. doi:10.1039/C4GC00166D. ^ Joncour, Roxan; Duguet, Nicolas; Métay, Estelle; Ferreira, Amadéo; Lemaire, Marc. “Supplementary Information Amidation of phenol derivatives: a direct synthesis of paracetamol (acetaminophen) from hydroquinone” (PDF). Archived (PDF) from the original on 2015-09-24. ^ Novotny PE, Elser RC (1984). “Indophenol method for acetaminophen in serum examined” (PDF). Clin. Chem. 30 (6): 884–6. PMID 6723045. ^ Cahn, A.; Hepp, P. (1886). “Das Antifebrin, ein neues Fiebermittel” [Antifebrin, a new antipyretic]. Centralblatt für klinische Medizin (in German). 7: 561–564. ^ von Mering, J. (1893). “Beitrage zur Kenntniss der Antipyretica”. Ther Monatsch. 7: 577–587. ^ Toussaint, K.; Yang, X.C. ; Zielinski, M.A. ; Reigle, K.L. ; Sacavage, S.D. ; Nagar, S.; Raffa, R.B. (December 2010). “What do we (not) know about how paracetamol (acetaminophen) works?”. Journal of Clinical Pharmacy and Therapeutics. 35 (6): 617–638. doi:10.1111/j.1365-2710.2009.01143.x. PMID 21054454. ^ Bergman K, Müller L, Teigen SW (1996). “The genotoxicity and carcinogenicity of paracetamol: a regulatory (re)view”. Mutat Res. 349 (2): 263–88. doi:10.1016/0027-5107(95)00185-9. PMID 8600357. ^ Lester D, Greenberg LA, Carroll RP (1947). “The metabolic fate of acetanilid and other aniline derivatives: II. Major metabolites of acetanilid appearing in the blood”. J. Pharmacol. Exp. Ther. 90 (1): 68–75. PMID 20241897. Archived from the original on 2008-12-02. ^ Brodie, BB; Axelrod J (1948). “The estimation of acetanilide and its metabolic products, aniline, N-acetyl p-aminophenol and p-aminophenol (free and total conjugated) in biological fluids and tissues”. J. Pharmacol. Exp. Ther. 94 (1): 22–28. PMID 18885610. ^ Brodie, BB; Axelrod J (1948). “The fate of acetanilide in man” (PDF). J. Pharmacol. Exp. Ther. 94 (1): 29–38. PMID 18885611. Archived (PDF) from the original on 2008-09-07. ^ Flinn, Frederick B; Brodie BB (1948). “The effect on the pain threshold of N-acetyl p-aminophenol, a product derived in the body from acetanilide”. J. Pharmacol. Exp. Ther. 94 (1): 76–77. PMID 18885618. ^ Brodie BB, Axelrod J (1949). “The fate of acetophenetidin (phenacetin) in man and methods for the estimation of acetophenitidin and its metabolites in biological material”. J Pharmacol Exp Ther. 94 (1): 58–67. ^ “SEC Info – Eastman Kodak Co – ‘8-K’ for 6/30/94”. Archived from the original on 4 March 2016. Retrieved 3 March 2016. ^ “Our Story”. McNEIL-PPC, Inc. Archived from the original on March 8, 2014. Retrieved March 8, 2014. ^ “Medication and Drugs”. MedicineNet. 1996–2010. Archived from the original on April 22, 2010. Retrieved April 22, 2010. ^ Thakkar, KB; Billa, G (Sep 2013). “The concept of: Generic drugs and patented drugs vs. brand name drugs and non-proprietary (generic) name drugs”. Front Pharmacol. 4: 113. doi:10.3389/fphar.2013.00113. PMC 3770914. PMID 24062686. ^ “International Non-Proprietary Name for Pharmaceutical Preparations (Recommended List #4)” (PDF). WHO Chronicle. 16 (3): 101–111. March 1962. ^ “TGA Approved Terminology for Medicines, Section 1 – Chemical Substances” (PDF). Therapeutic Goods Administration, Department of Health and Ageing, Australian Government. July 1999: 97. Archived (PDF) from the original on 2014-02-11. ^ “Les prix en Europe – La boîte paracétamol 10 comprimés (générique)” (in French). Linternaute.com. Retrieved 2018-10-10. ^ “Acetaminophen.” Physicians’ Desk Reference, 63rd ed. Montvale, NJ: Thomson PDR; 2009: 1915–1916. ^ a b Atkinson, Hartley C.; Stanescu, Ioana; Anderson, Brian J. (2014). “Increased Phenylephrine Plasma Levels with Administration of Acetaminophen”. New England Journal of Medicine. 370 (12): 1171–1172. doi:10.1056/NEJMc1313942. ISSN 0028-4793. PMID 24645960. ^ “Ascorbic acid/Phenylephrine/Paracetamol”. NHS Choices. National Health Service. Archived from the original on March 26, 2014. Retrieved March 25, 2014. ^ “Phenylephrine/Caffeine/Paracetamol dual relief”. NHS Choices. National Health Service. Archived from the original on March 26, 2014. Retrieved March 25, 2014. ^ “Beechams Decongestant Plus With Paracetamol”. NHS Choices. National Health Service. Archived from the original on March 26, 2014. Retrieved March 25, 2014. ^ Senyuva, H.; Ozden, T. (2002). “Simultaneous High-Performance Liquid Chromatographic Determination of Paracetamol, Phenylephrine HCl, and Chlorpheniramine Maleate in Pharmaceutical Dosage Forms” (PDF). Journal of Chromatographic Science. 40 (2): 97–100. doi:10.1093/chromsci/40.2.97. ISSN 0021-9665. PMID 11881712. Archived (PDF) from the original on 2015-11-06. ^ Janin, A.; Monnet, J. (2014). “Bioavailability of paracetamol, phenylephrine hydrochloride and guaifenesin in a fixed-combination syrup versus an oral reference product”. Journal of International Medical Research. 42 (2): 347–359. doi:10.1177/0300060513503762. ISSN 0300-0605. PMID 24553480. ^ “Paracetamol – phenylephrine hydrochloride – guaifenesin”. NPS MedicineWise. National Prescribing Service (Australia). Archived from the original on March 26, 2014. Retrieved March 25, 2014. ^ “Phenylephrine/Guaifenesin/Paracetamol”. NHS Choices. National Health Service. Archived from the original on September 12, 2013. Retrieved March 25, 2014. ^ “Treating a Restless Legs Sydnrome (RLS)”. Consumer Reports. 2011. Archived from the original on 2015-12-18. ^ “Use Only as Directed”. This American Life. Episode 505. Chicago. 20 September 2013. Public Radio International. WBEZ. Archived from the original on 27 September 2013. Retrieved 24 September 2013. ^ Gerth, Jeff; T. Christian Miller (20 September 2013). “Use Only as Directed”. ProPublica. Archived from the original on 24 September 2013. Retrieved 24 September 2013. ^ Miller, T. Christian; Jeff Gerth (20 September 2013). “Dose of Confusion”. ProPublica. Archived from the original on 24 September 2013. Retrieved 24 September 2013. ^ “Recommendations for FDA Interventions to Decrease the Occurrence of Acetaminophen Hepatotoxicity” (PDF). Archived (PDF) from the original on 2015-09-24. ^ Allen AL (2003). “The diagnosis of acetaminophen toxicosis in a cat”. Can Vet J. 44 (6): 509–10. PMC 340185. PMID 12839249. ^ a b c “Pardale-V Oral Tablets”. NOAH Compendium of Data Sheets for Animal Medicines. The National Office of Animal Health (NOAH). 11 November 2010. Archived from the original on 22 November 2008. Retrieved 20 January 2011. ^ Villar D, Buck WB, Gonzalez JM (1998). “Ibuprofen, aspirin and acetaminophen toxicosis and treatment in dogs and cats”. Vet Hum Toxicol. 40 (3): 156–62. PMID 9610496. ^ Meadows, Irina; Gwaltney-Brant, Sharon (2006). “The 10 Most Common Toxicoses in Dogs”. Veterinary Medicine: 142–8. Archived from the original on 2011-07-10. ^ Dunayer, E (2004). “Ibuprofen toxicosis in dogs, cats, and ferrets”. Veterinary Medicine: 580–6. Archived from the original on 2011-07-10. ^ Johnston J, Savarie P, Primus T, Eisemann J, Hurley J, Kohler D (2002). “Risk assessment of an acetaminophen baiting program for chemical control of brown tree snakes on Guam: evaluation of baits, snake residues, and potential primary and secondary hazards”. Environ Sci Technol. 36 (17): 3827–33. doi:10.1021/es015873n. PMID 12322757. ^ Brad Lendon (2010-09-07). “Tylenol-loaded mice dropped from air to control snakes”. CNN. Archived from the original on 2010-09-09. Retrieved 2010-09-07. ^ Sabrina Richards (2012-05-01). “It’s Raining Mice”. The Scientist. Archived from the original on 2012-05-15.